March 14, 2013  Bartender Scott Prouty has stepped out of the shadows. The recording he made shook up the 2012 presidential campaign. 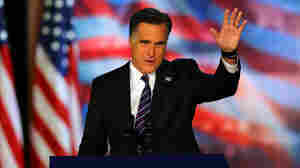 Republican Mitt Romney's bid for the White House was dealt a blow. Now Prouty is telling liberal newssites about what he did. January 4, 2013  At a joint session of Congress, the Electoral College votes from each state were read aloud. December 24, 2012  The 2012 Republican presidential nominee had to be convinced by his family to get into the race, his son tells the Boston Globe. "He wanted to be president less than anyone I've met in my life," Tagg Romney says. 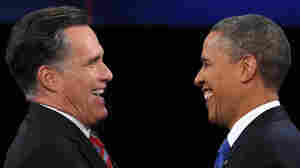 November 28, 2012  It will be the 2012 contenders' first meeting since the presidential election. 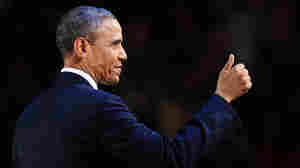 President Obama had previously said he hoped to work with his Republican challenger on some issues. 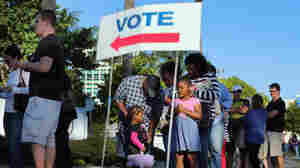 November 10, 2012  Florida officials said the president had 50 percent of the vote to Romney's 49.1 percent. 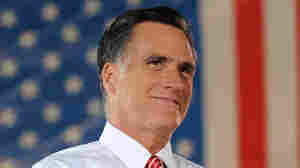 His win of the state's 29 electoral votes gives Obama a total of 332 electoral votes to Mitt Romney's 206. November 9, 2012  The reasons include a stronger economy and a better-run campaign, readers say. Many also say Republicans just didn't have the right message. And, some argue, the news media favored the president. November 9, 2012  "Just saw @karlrove in a bar. 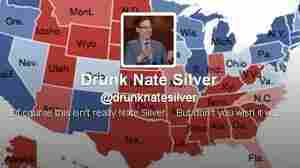 Aaawwkward," tweets the fake homage to the blogger who nailed the Obama-Romney race tweets. Being hailed as Election Night's second biggest winner continues to bring attention to the FiveThirtyEight.com guru. November 9, 2012  "What you guys have done means the work that I'm doing is important. I'm really proud of that. 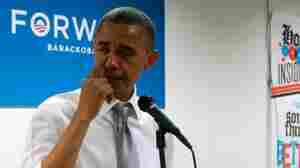 I'm really proud of all of you," the president says just before a tear comes down his right cheek. It's a rare public show of emotion from "no-drama Obama." November 8, 2012  From full protection and full entourage, the losing presidential candidate quickly goes back to reality. When he returned home early Wednesday from his concession speech, GOP nominee Mitt Romney rode in the back seat of a car driven by his son. Secret Service agents were on their way elsewhere. November 8, 2012  The president's campaign fine-tuned its appeal to a younger, less-white electorate and got its supporters to turn out in much larger numbers than Republicans had anticipated. Meanwhile, Mitt Romney was hurt by a lack of money at a critical moment. Tell Us: Why Did Obama Win? November 7, 2012  There are a number of possible reasons. Did the president run a better campaign? Is the economy really on the mend? Or is it as simple as him being more likable? November 7, 2012  Concerned that the White House and Congress won't be able to agree on how to avoid deep spending cuts and tax increases, many investors sold stocks. November 5, 2012  Everybody's looking ahead and trying to figure out just when we'll know who won the White House. If the race is as tight as polls suggest, it could be a long night. But here's a key thing to know about a key swing state: Ohio's polls are set to close at 7:30 p.m. ET. November 2, 2012  There were about 50,000 more jobs added to payrolls than economists expected. Also: September's growth was revised upward. 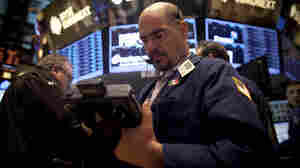 This is the last major economic report before Election Day and is sure to be a hot topic on the campaign trail. 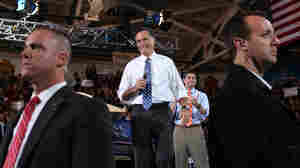 November 1, 2012  Both President Obama and his Republican challenger, Mitt Romney, will be out stumping for votes today. 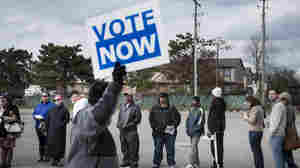 The race for the White House, which was just about put on hold as Superstorm Sandy bore down on the East Coast and then roared ashore, is back on with just five days to go before Election Day.